Over the last several decades a conspiracy has been afoot. It’s been quiet, insidious, and well-planned. Many, many people have had their hand in it. Almost every American is guilty, if not compromised through direct action, then by their complacency. We have all allowed it to happen. We are all accessories to this crime. 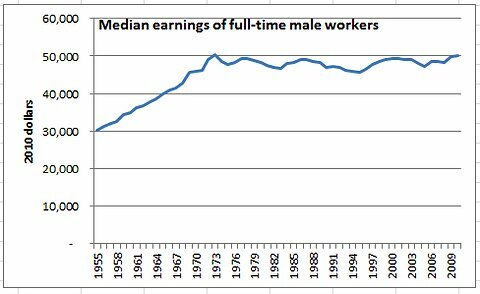 It’s quite simple really: over the last 4 decades the median income of most men in America has not changed. It is the same (or lower) today than it was in 1974, the year I was born. It should have risen as it followed inflation, as it always did in the past. Instead, the cost of consumer goods has risen steadily, while most American do not make more money to buy the goods. Yet marketing, too has increased. Ads have more airtime on TV than each decade before, we have targeted advertising on the internet, on our phones. Even our reading is being interrupted now by advertisements on the our kindles and nooks. So we are being manipulated to want more than ever before, while our expendable incomes have not increased. But credit cards are ubiqutous in this day and age — you can’t get a mortgage if you don’t have at a few of them. Interest rates on most cards are much higher than they used to be, but our nation has now become addicted to consumption, so we use our cards, again and again, we use our cards. 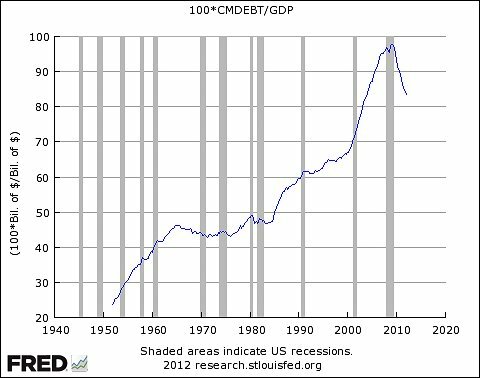 So now the same man whose income matches that of his father’s when he was born, he carries a debt several times that of father’s, too. He has a mortgage to pay (if he still has a home), and a family to feed, and remains underemployed. And we wonder why this nation is struggling to emerge from the last recession? Are we really going to let politicians (who have allowed corporate interest to lobby them and helped create this situation) tell regular voters, like you and me, “to get a job” when we ask for little things like a living wage increase or health care? Welcome to the era that may well be remembered for the silent enslavement of the American people.